This Stoneybrook at Venice home is move-in-ready and waiting for you! 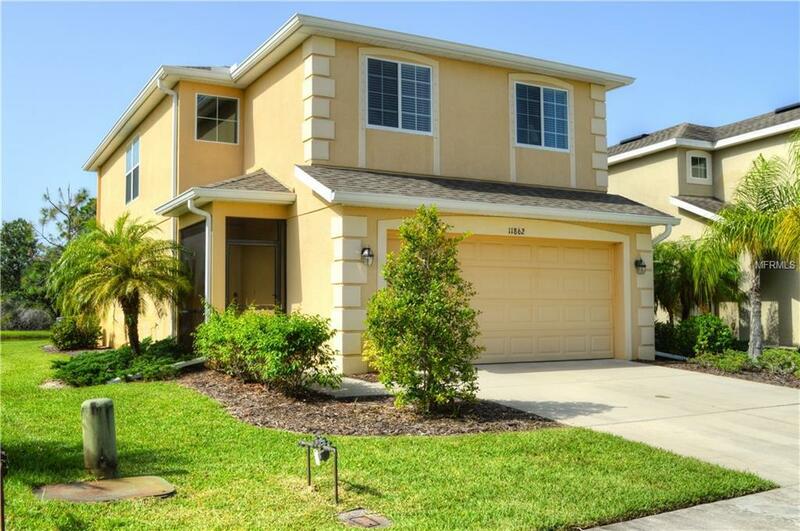 The 4 bedroom, 2.5 bathroom home features many upgrades including granite countertops, newer AC, covered lanai, and tile throughout the living area. The kitchen boasts a double pantry, large breakfast bar and separate breakfast nook overlooking a beautiful lake with greenbelt views beyond. Enjoy your private lanai setting with no houses across the lake! All four bedrooms are conveniently located upstairs, including the master en-suite. You will love the gated community of Stoneybrook, with all of the amenities it has to offer, including resort-style pool and spa, splash pad, 24-hour fitness center, playground, beach volleyball, skating rink, pickleball, basketball courts, baseball diamond, grilling area, theater room and tennis courts. There are also a multitude of planned activities for the whole family. The community is conveniently located near I75, amazing beaches, Venice's world-class restaurants, shopping, golf, A-rated schools and more. Three area airports are within an hour's drive. So come and see why this beautiful home is the one for you and start living the Florida lifestyle in Venice today!